Images by Alfonso Arnold unless otherwise noted. No fashion week functions without the support of the business community and Eco Fashion Week has had some amazing ones. 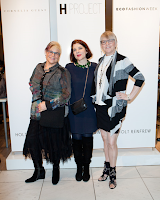 From wonderful booths in the media room offering food, drink, services and more, to the wind-up evening in Holt Renfrew's Project H boutique - I could not have been more thankful. Today's article is in honour of these wonderful businesses. 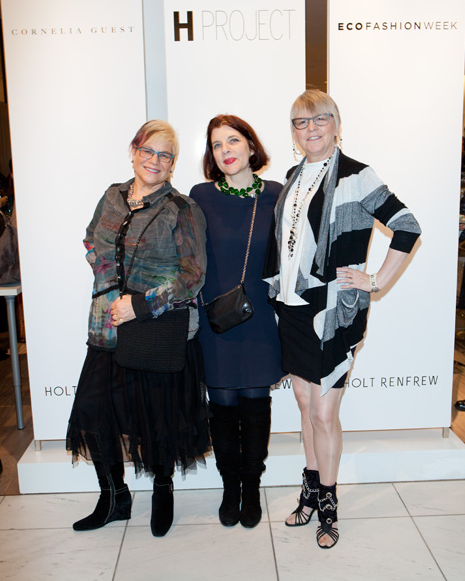 I want to start with Holt Renfrew as this company has impressed me since day one. My first experience was attending a trend forecast for media and stylists run in the Vancouver store. There I met Carla Stef, Manager of Marketing and Public Relations. I was way behind other attendees in terms of labels and trends, but she was utterly patient. When I wanted to do an Behind the Scenes article on someone in the store, she offered me Christopher Novak - Today Matters. Then a year later I had the privilege of sitting down with her personally to write her story - An Extraordinary Experience. What came out of both interviews was a picture of a forward thinking company always ready to listen to their employees and open to new directions. Enter the H Project which highlights culture, craft, and artisans from around the world. Launched in May 2013, this store within a store is led by Holt Renfrew's Director of Brand Strategy - Alexandra Weston. 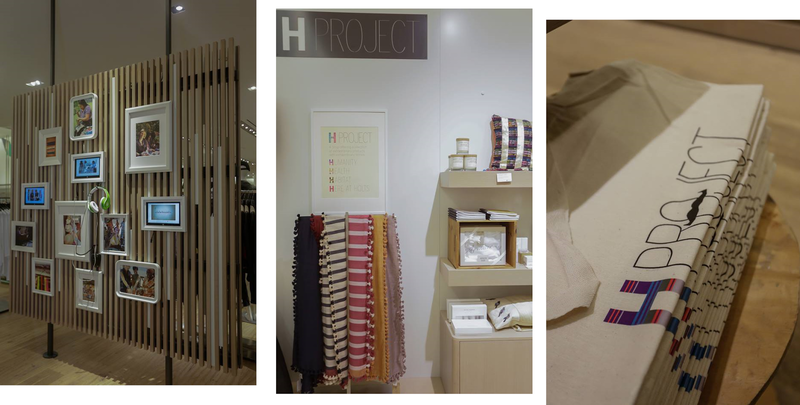 At the EFW event, she walked me through the H Project Shop and talked about its focus. There were three criteria for all products sold here: 1- what an item is created from such as eco-friendly or recycled products; 2 - where it was produced such as in a women's co-op; and 3 - unique items done in collaboration with an established designer with 100% of proceeds going to the charity of their choosing. The gallery-like space, designed by Janson Goldstein, was created to inspire artisanal installations, cultural music and videos on a listening wall where customers can learn about the stories behind the products. 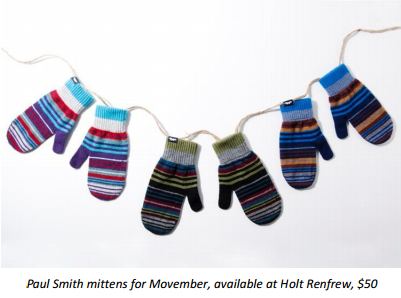 One current product being offered is Paul Smith mittens in support of Movember. Every pair of limited edition Paul Smith mittens purchased will help support the men’s health programs on prostate cancer and male mental health initiatives in the area of education, awareness, research and survivorship. Sir Paul Smith shared, “I’m famous for my stripes and so, it seemed like the perfect route to go down in terms of the design for these great mittens. We hope that you find them fun and cheerful and help to raise awareness and money for Movember, a very worthy cause." Now I want to give a nod to the wonderful companies who were in the Media/VIP room. For those who attend all shows in particular, this was the place to hang out, network and get images shot with old friends and new connections. AND a great place to get out of the cold - it was a bit nippy most nights. One favourite for me was Noodlebox. For several seasons now they have been there the first night offering their Spicy Peanut Noodle Box - Indonesian peanut sauce with Asian greens and ribbon noodles. I believe they offered this in a gluten-free version for EFW. Now for something to drink after those spicy noodles! Be Pure 100% natural coconut water had a table offering samples in 4 flavours - Pure, Aloe Vera, Mango and Pomegranate. What media room would be complete without more adult libations? This season the wonderful red and white wines were provided by Cono Sur Wines and for a different option, there was a great Scandal Organic Ale by PW Brewing. I can personally attest to the fact there was a constant line up here each day and those working the bar offered each of us a smile along with our drink. Beauty company La Biosthetique also provided a make-up bar where a professional each night was available to touch up your look. After a long day like this, it was truly a joy to relax and let someone freshen you up. 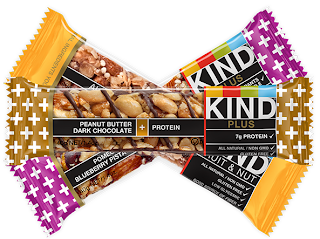 Last but not least was a mixed assortment of Healthy Indulgence bars available each day provided by Kind Snacks. I could not have made it through the long days without them. 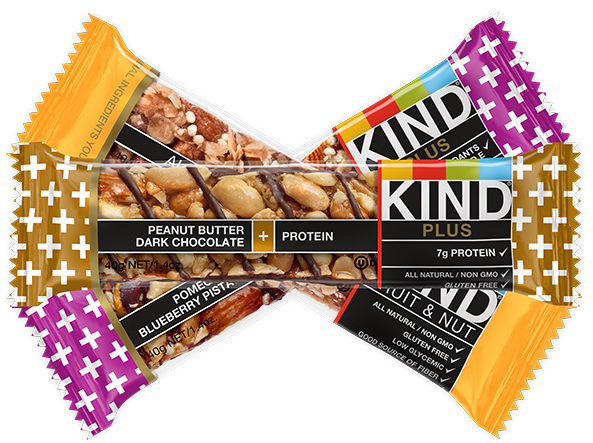 Going to have to get some for my pantry at home as they are a perfect grab-as-you-run option and they come in a great selection of flavours such as Dark Chocolate Cherry Cashew, Peanut Butter Dark Chocolate, Pomegranate Blueberry Pistachio, Peanut Butter Strawberry, Blueberry Pecan and Apple Cinnamon & Pecan. 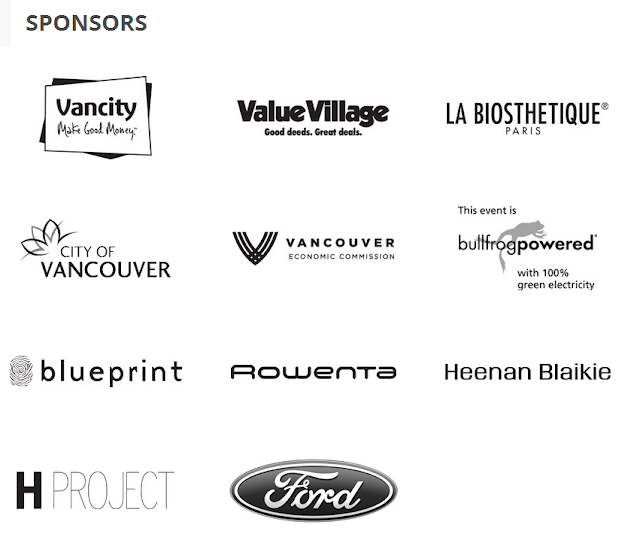 You can check out more sponsors below and more than anything, be sure to support these businesses! It's the best way to say thank-you for their involvement.